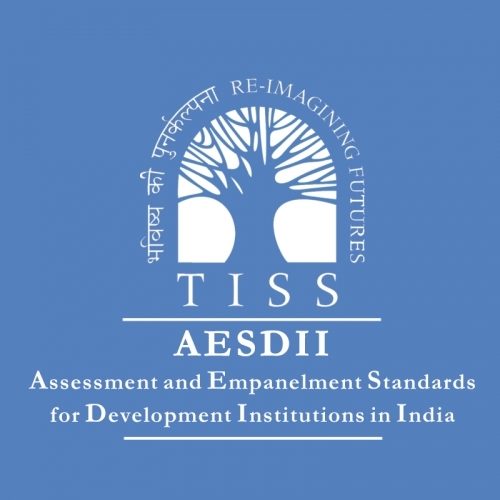 The “TISS AESDII–JGU CECRAS Northern Conclave for Building CSR Partnerships” is being organised by the Tata Institute of Social Sciences – Assessment and Empanelment Standards for Development Institutions in India (TISS AESDII) and O. P. Jindal University – Centre for Excellence in Corporate Responsibility and Sustainability (JGU – CECRAS). The Conclave is scheduled to take place between November 1st and 3rd, 2018, at New Delhi. The Conclave is collaboratively organised by the UN Global Compact and powered by the Ryerson University, Canada as well as the International Institute for Higher Education Research & Capacity Building (at JGU). As one of the foundational thought leaders on corporate social responsibility (CSR) and leading universities in the social sciences in India, Tata Institute of Social Sciences (TISS) has been organizing a series of conclaves in 2018. The Northern Conclave is the third in this series. The three-day “Conclaves for Building CSR Partnerships” are set in the larger ethos of Goal 17 under the Sustainable Development Goals. We aspire to catalyse partnerships amidst multiple stakeholders for achieving sustainable and inclusive development. The “Conclaves for Building CSR Partnerships” have already been held at Bengaluru and Mumbai in April and May, 2018 respectively. We have partnered with Indian Institute of Science, Bengaluru Central University, National Securities Depository Ltd. and The Better India in the past. The Northern Conclave comprises of a comprehensive schedule that is designed to be a platform for action and discussion forum which apart from providing ways of thinking and doing also attempts to link corporations, non-profit organisations (NPOs), government entities and academia. The Conclaves are an opportunity for building and sharing skills useful for CSR practitioners, development workers and other stakeholders concerned with optimizing social impact. We invite your participation in the “TISS AESDII Western Conclave for Building CSR Partnerships” (for the Western Region) between May 21 and 23, 2018, at Tata Institute Of Social Sciences,Deonar,Mumbai,Maharashtra-400088. We welcome two representatives from your organization. Ideally a staff member responsible for corporate social responsibility fund raising/ proposal writing/ networking/ partner management should be nominated. *For NPOs, Please fill and carry the Proposal Bank Template for TISS AESDII Bazaar by 21 May, 2018. Library Conference Hall,Sixth Floor,Main Campus,Tata Institute Of Social Sciences,Deonar,Mumbai,Maharashtra-400088. We invite your participation in the “TISS AESDII Conclaves for Building CSR Partnerships” (for the Southern Region) between April 23 and 25, 2018, at Bengaluru Central University Dr.Ambedkar road Bengaluru Karnataka 560001. Entailing a comprehensive schedule that includes takeaways for all partners, the Southern Conclave is designed to be a platform for action and forum which apart from providing ways of thinking and doing, will connect the dots between donors and implementing agencies. The Conclaves are using innovative approaches by including a mix of masterclasses, workshops and bringing together multiple stakeholders to interact and build partnerships that create social impact. The Development Labs — Centre for Public Policy and Governance of Tata Institute of Social Sciences (TISS) in collaboration with Tata-Cornell Institute for Agriculture and Nutrition is organizing a comprehensive and distinct CSR Management Workshop on ‘Monitoring & Evaluation Systems for the CSR Projects’ for corporate leaders, CSR personnel of public and private sector companies. This is a highly effective training program and recommended for senior and mid-level managers, corporate professionals aspired to take a leading position for the advancement of company’s CSR initiatives. The training module will equip participants to take decisions for designing and developing monitoring and evaluation systems to ensure effective implementation of CSR projects. Nominations are invited to participate in the training workshop from corporates and CSR implementation organizations. Tata Institute of Social Sciences invites CSR and business leaders for the ‘National CSR Conclave’ that aims to revisit the whole concept of business responsibility and compassion in rapidly changing social and economic context of India.